The term “dry eye” is used to refer to a condition where the eyes do not produce tears properly. The tears themselves may not be the correct consistency or dry out quickly. In addition, inflammation may occur along with dry eye. If this condition is left untreated, the sufferer may experience pain, ulcers and even loss of vision. It is important to be aware that permanent loss of vision is not something that is commonly associated with dry eye syndrome (DES). Having this eye condition can make some activities more difficult. Examples of these are using a computer and reading. What Are The Different Types of Dry Eye? The different variations of this condition are listed below. Aqueous tear deficient DES. This is when the glands fail to produce enough liquid to keep the surface of the eye healthy. Evaporative DES occurs when the liquid in the eyes evaporate too quickly. Tears are essential for overall eye health and good vision. They bathe the eyes, nourish them, keep them moist and wash away bacteria and debris. This protects the eyes from infections. It is interesting to note that the body produces extra tears when something gets in the eye or infection/irritation is present. A stinging or burning sensation. A feeling as though something is in the eye. Difficulty crying when experiencing strong emotions. If a person suspects they have this syndrome, they should see an eye specialist Houston offers. The specialist will determine what is causing the problem and determine how to treat it. If the issue is a result of a medical condition, the underlying problem will need to be treated. Listed below are some of the treatments the eye specialist may recommend. Medication which reduces the symptoms of dry eye and increases tear production. This may take a few months to work. If the eye condition is a reaction from a specific medication, the patient may have to go off that medication or switch to a different medication. If wearing contact lens is the cause of the problem, the wearer may need to try another type of lenses. 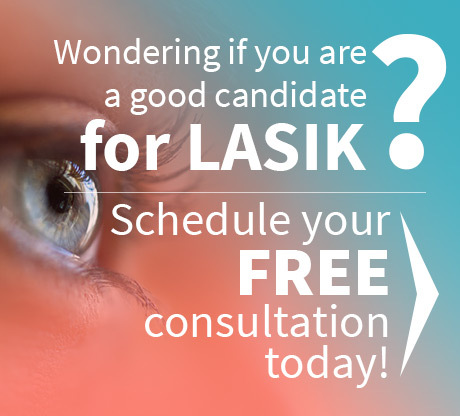 In the case of a moderate to severe condition, the specialist may recommend that the patient reduce the number of hours they wear lenses or not wear lenses at all. Insert painless plugs to block drainage holes in the eyes. Permanent plugs may be a consideration for severe cases. Undergo a simple surgery to permanently close drainage holes in the eyes. Sometimes taking supplements are helpful. As some of the treatments discussed are unpleasant, it is only natural that some people are tempted to avoid seeing an eye specialist. This urge should be ignored as leaving this condition untreated could lead to serious eye problems in the future. 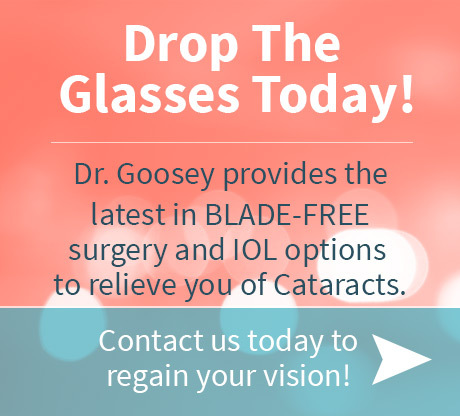 If you are experiencing any symptoms of Dry Eye Syndrome, call Dr. Goosey’s office and schedule an appointment to determine what treatment options are right for you.